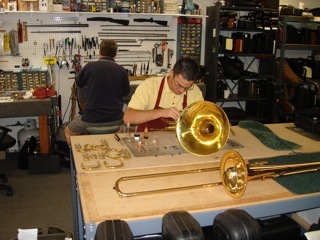 Cadence Music has a full-service repair shop on site with 6 technicians for fast, professional repairs. 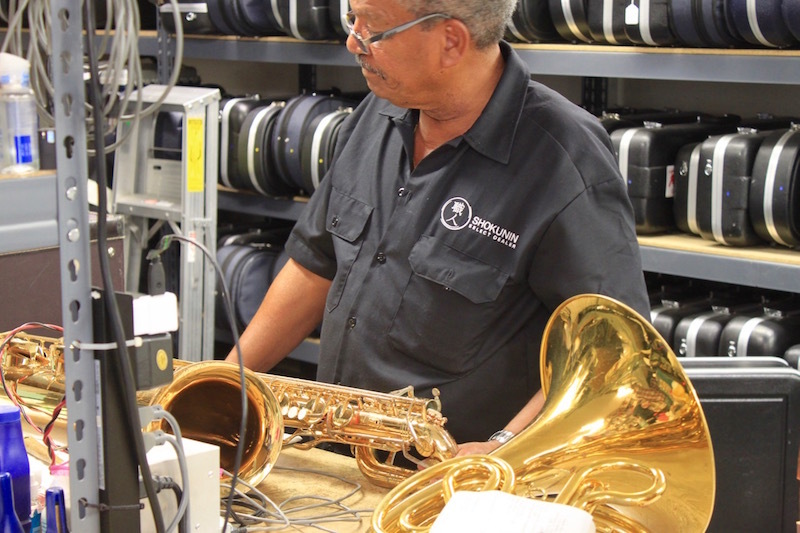 We are the only shop in Southwest Florida that repairs just about every musical instrument including all woodwinds, brasswinds, and orchestral instruments, as well as most percussion and guitars. 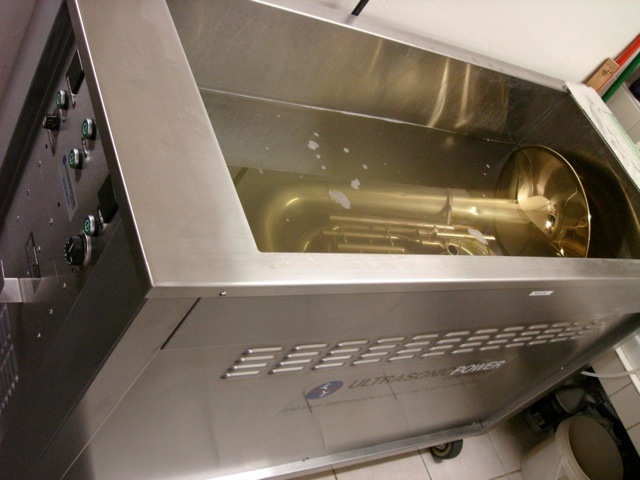 We also have the area’s largest Ultrasonic Cleaner for the most thorough cleaning on all horns, even a full-size tuba! 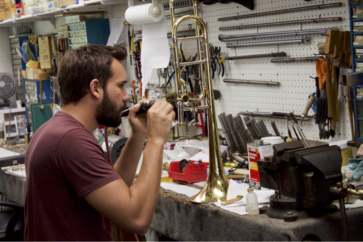 Our educational representatives visit schools in Lee, Collier and Charlotte Counties every week (during the school year) to pick up and drop off repairs. 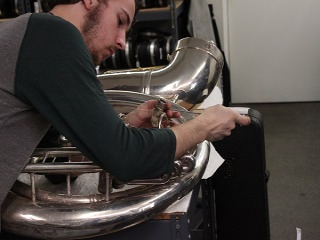 From minor adjustments to complete mechanical overhauls and restorations, Cadence Music is the first choice among students and professionals in Southwest Florida! 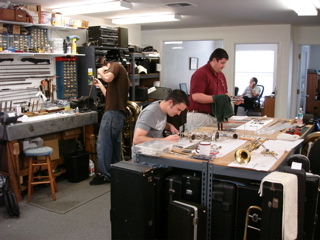 Tom and Todd soldering a tuba valve section. 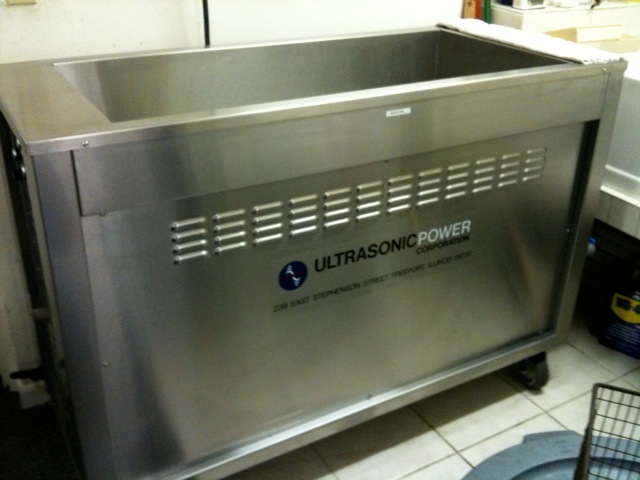 Our latest addition to the shop, a gigantic ultrasonic cleaner!